Codema has, based on its knowledge and experience, developed an advanced automatic moving gutter system for fresh lettuce, herbs, micro vegetables and baby leaves. CODEMA Systems Group is the holding company of HAWE, B-E de Lier, SDF and WEVAB. With more than 60 years experience, it is the worldwide market leader in offering innovative and customized cultivation solutions, logistic systems, management and control systems and software for the horticulture industry. · Increased Production: Increase the production capacity of greenhouses by better management of space and logistics. · Cost Reduction: Our custom designed logistic systems help reduce the production and cultivation costs. 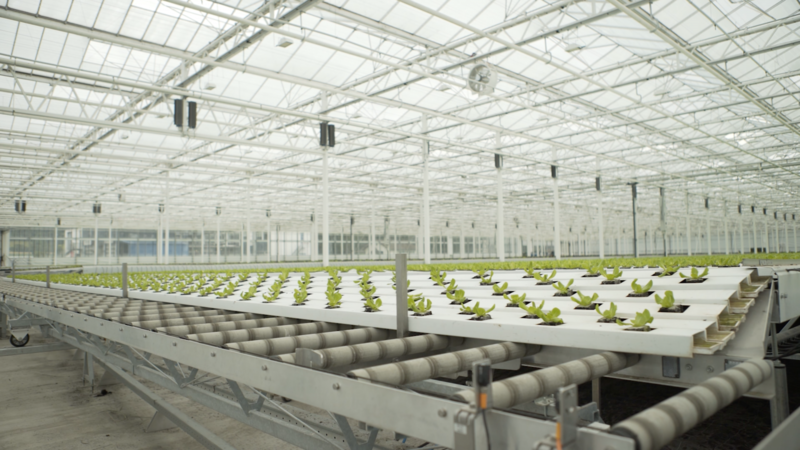 Our solutions significantly reduce energy and water consumption for cultivation. Costs due to error loss are avoided by reducing dependency on manual labour. · Customized Solutions : We provide customized solutions to the growers based on their plant type, farm size, production capacity, resource availability and other specific needs and demands. CODEMA has a wide portfolio of customized solutions ranging from simple manual to hi-tech fully automated solutions. · Total Control: We provide solutions which are inline with the future growth strategies of our clients. Our solution gives complete control on the cultivation process, thus allowing our clients to plan their production well in advance to enjoy a leading edge in the competitive market. · Assured Quality: CODEMA has become a synonym for high-quality products and services in the horticulture industry around the world.